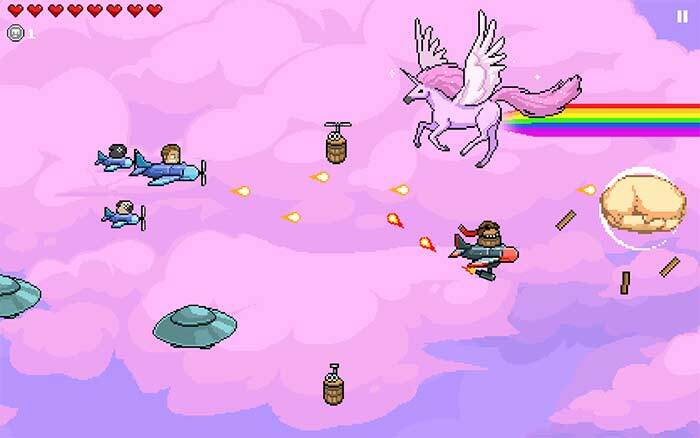 The game is loaded up with fanservice both for fans of PewDiePie and classic games, and if you happen to like both, you'll probably have a good time making your way through the game. The level designs are a little loose at times, and if you're not interested in clearing every difficulty level or unlocking extras, it's over a bit quickly, but overall, I think it's a pretty enjoyable romp. The best part of the game comes in the form of the graphics, which are crisp and clean and appropriately gimmicky. 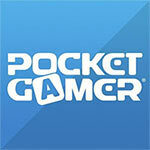 The controls also work very well, which probably comes from the creator's gaming past. s someone who was attracted to the app because it has to do with PewDiePie, the YouTube personality, I was disappointed to see that there really wasn't too much about him on this. The addition of the word "Bro" to everything was also just a little annoying and vaguely sexist. Finally, it is a little pricey for what you actually get. 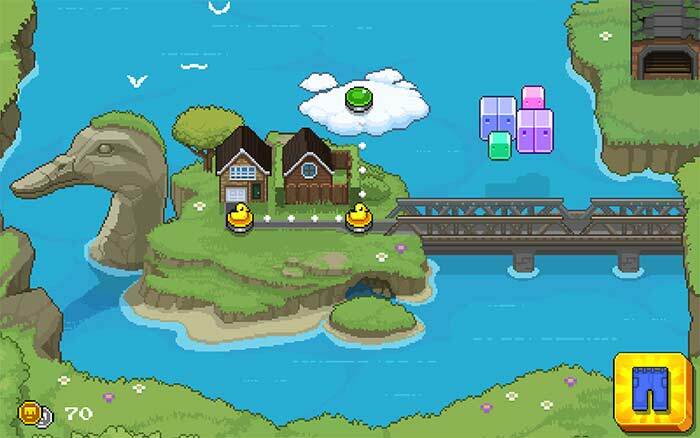 For those wanting a solid mobile platformer, consider dropping the five bucks on PewDiePie: Legend of the Brofist, as it has a kickass chiptune soundtrack, colorful levels, and tight touchscreen platforming. If you're a PewDiePie fan, then making the purchase is a no-brainer. The game took me a just over a couple of hours to complete, though completionists will be able to get a lot more mileage out of it. My time and money were well spent, and it almost made me want to watch a PewDiePie video. Almost. 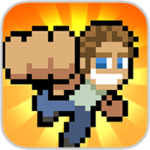 That said, if you are a PewDiePie fan, Legend of the Brofist is stuffed with appearances and jokes you’ll adore. More importantly, you shouldn’t have a problem experiencing said jokes, because the game is built on solid foundation. There’s lots to do, lots to collect, and lots to laugh at — if jokes about barrels and farting pugs are your thing. 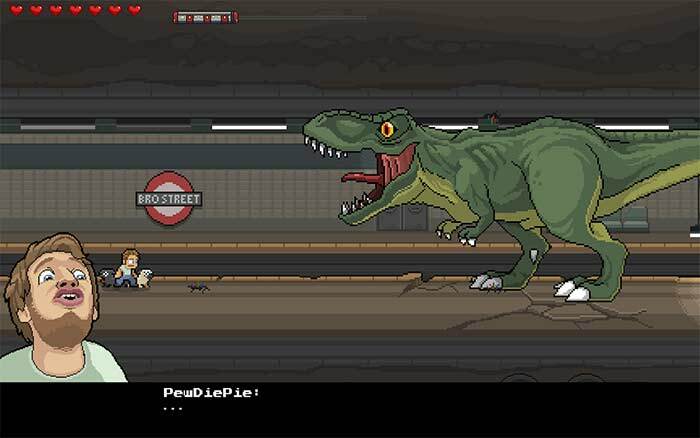 PewDiePie: Legend of the Brofist is a lot more confident when it's simply being a varied and frequently entertaining - if somewhat flawed - 2D platformer. Like him or not, this is a bright and varied 2D platformer with a few fudged mechanics and a clunky approach to difficulty. At the end of the day PewDiePie: Legend of the Brofist is clearly a competent platformer. Even if the game comes across as a bit too short it never bored us or felt repetitive, and instead all the levels have their own charm and style, while the missions are fun and the enemies are varied. But the tiresome humour that runs through the game from the first pixel to the last, and the not entirely reliable controls conspired to put a dampener on our play-through. Secara keseluruhan, PewDiePie Legend of Brofist merupakan sebuah hiburan yang cukup berhasil dalam membawakan aksi PewDiePie ke dalam bentuk sebuah video game. Terlepas apakah kamu termasuk penggemar PewDiePie atau bukan, game ini menawarkan sebuah gameplay platformer klasik yang seru untuk dimainkan. Persoalan apakah kamu akan membeli game ini atau tidak, semuanya sekarang saya kembalikan lagi ke kamu. Apakah kamu bersedia membelinya dengan harga penuh atau menunggu adanya diskon dari pihak developer. 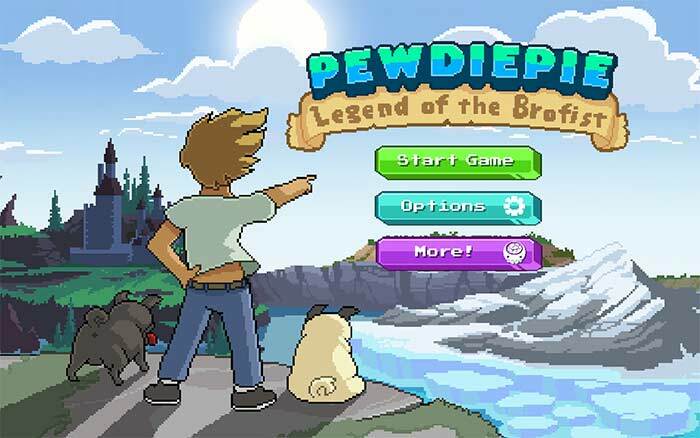 Apapun caramu, PewDiePie Legend of Brofist tetaplah menjadi game yang tak akan mengecewakanmu setelah dibeli. I slutändan så är faktiskt PewDiePie: Legend of the Brofist ett klart kompetent plattformsäventyr. Även om spelet känns lite väl kort så tröttar det aldrig ut mig med tråkiga upprepningar utan alla banor har sin egen charm och stil samtidigt som uppdragen är roliga och fienderna varierande. Men den där tröttsamt grabbiga humorn som genomsyrar spelet från första till sista pixel och den inte alltid pålitliga spelkontrollen får mig dock att sucka oerhört djupt många gånger under min genomspelning. 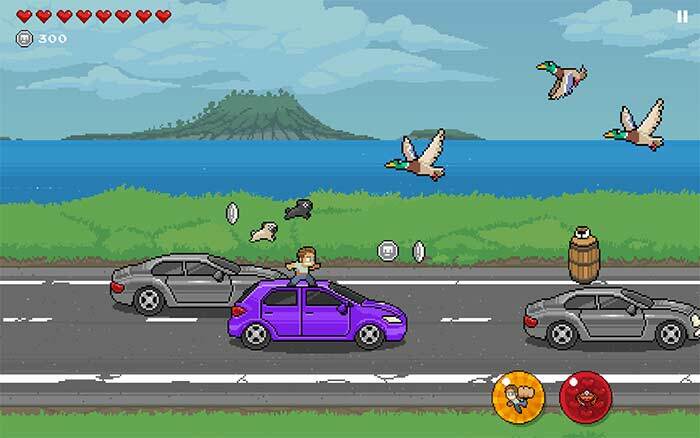 Utan dessa snedsteg hade PewDiePie: Legend of the Brofist varit ett suveränt Ios-spel som garanterat hade fått ett mycket högre betyg av mig. Nu får det dock nöja sig med en svag sjua. Synd på så rara ärtor.